Artist/maker unknown, American. Made for Simon Gratz, American, 1773 - 1839. 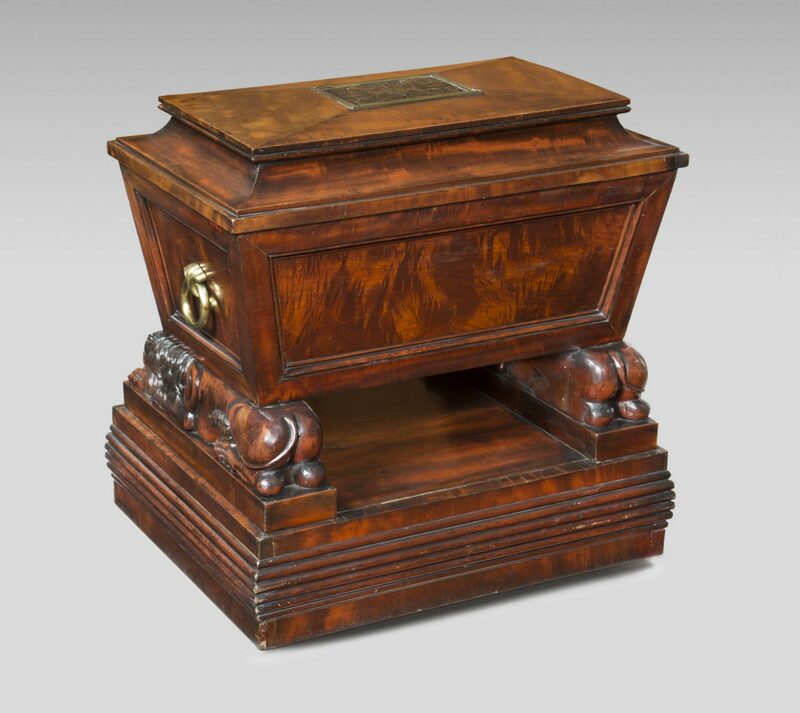 This wine cooler was made for Simon Gratz (American, 1773-1839), a successful Philadelphia businessman. Many American cabinetmakers imported panels with brass inlay—also called boulle work in honor of Frenchman André-Charles Boulle, who perfected the technique—to adorn the furniture they produced, as seen here. This richly decorated suite of dining room furnishings represents the highest development of ornamental inlay and carving found on Philadelphia furniture of the Empire style, which was popular in the first quarter of the nineteenth century. 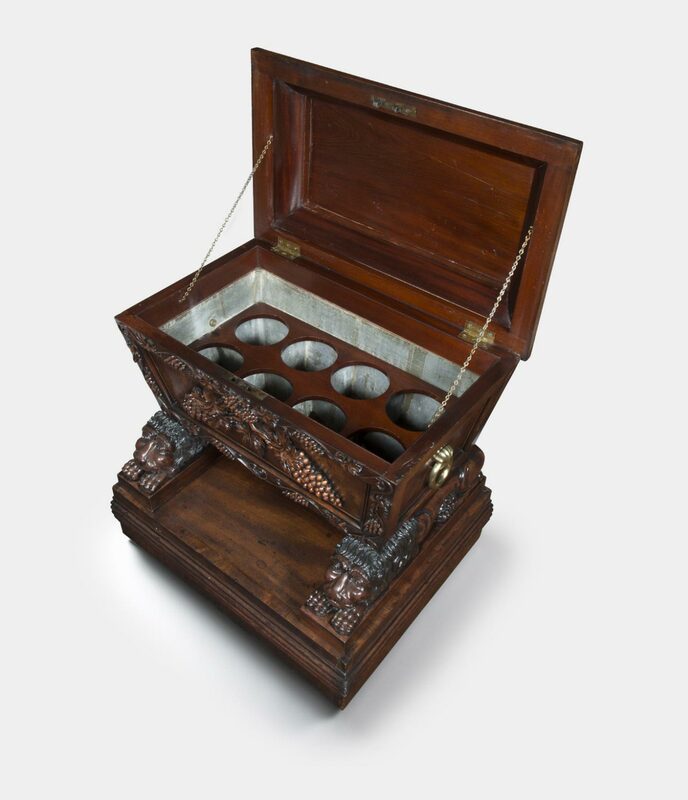 Made for Simon Gratz, a successful Philadelphia businessman, the sideboard with its two knife boxes and the cellarette, or wine cooler, display an impressive scale and lavish design that demonstrate the stylistic sophistication and refined tastes of the city's leading families. 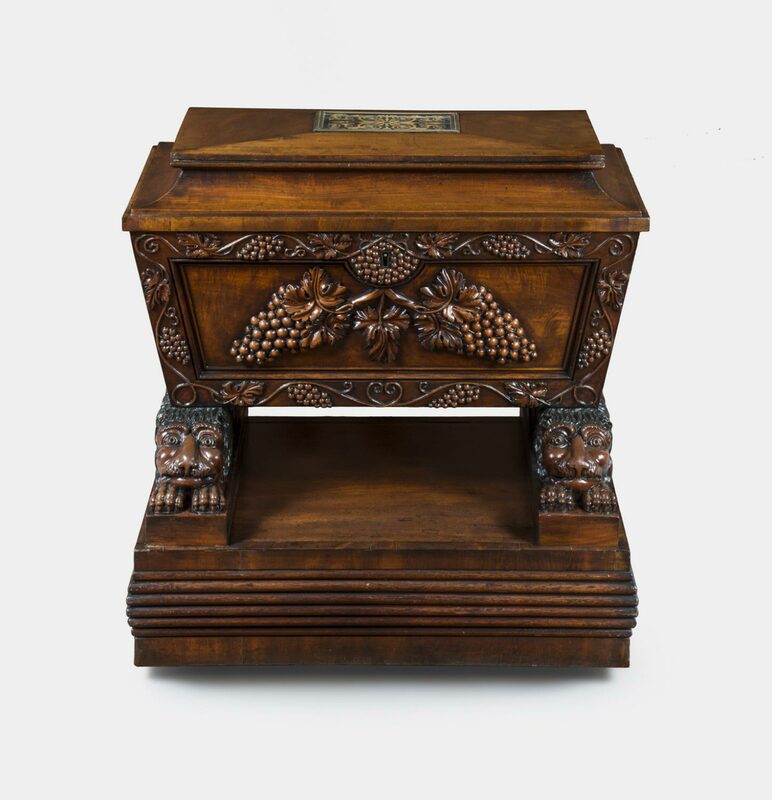 The ornate panels of brass and ebony inlay were imported from Birmingham, England, and set into surrounding veneers to create decorative surfaces of a type rarely seen in American furniture. Jack L. Lindsey, from Philadelphia Museum of Art: Handbook of the Collections (1995), p. 275.